Jack Black is returning to the loving arms of director Richard Linklater, the man who made him a movie star. Black is set to star in the dark comedy as the titular "Bernie," described as "a Renaissance man-community leader-mortician," by The Hollywood Reporter. Black befriends Shirley MacLaine's wealthy widow, only to kill her and then try his best to maintain the illusion that she's still alive. In the years since "School of Rock" broke him into the mainstream zeitgeist, Black's starring roles have been a string of disappointments. Black has largely been reduced to mugging, playing characters exhaustingly, tediously arch. Linklater, for his part, has slogged through a slate of films that have been failures artistically or commercially, some of them both. It would be great if he could get another modest hit under his belt so he can keep making films like "A Scanner Darkly," which wasn't exactly great, but was at least inventive and interesting. 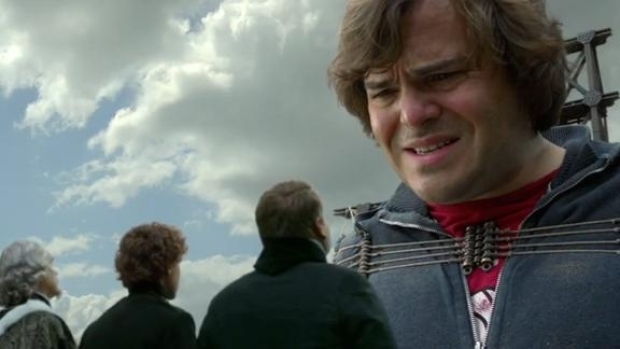 Jack Black stars in the latest retelling of Jonathan Swift's classic satire about a regular guy who finds himself in a land inhabited by people about the size of a fingernail clipping. The film comes out Dec. 22. Filming on "Bernie" starts this fall in Texas. Black can next be seen Dec. 22 in "Gulliver's Travels."